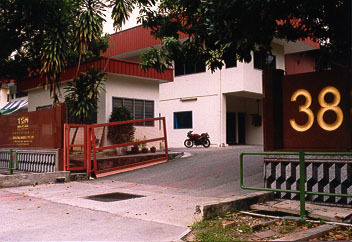 Tien Seng Marble Pte Ltd commenced operations in 1988 and successfully listed its shares on the Stock Exchange of Singapore under the name of TSM Resources Ltd on 8 January, 1998. Currently, we stock more than 150 varieties of premium grade stones including limestone, marble and granite slabs. The Group purchases its raw materials from Italy, Spain, India, Portugal, Greece, Norway, Brazil, Taiwan and South Africa. Currently, TSM Group has more than 150 varieties of marble and granite catering to a wide range of customers including contractors, tile suppliers, developers, architects, interior designers and individual homeowners. In order to keep abreast with the new trends in the furnishing industry and to the changing demands of the customers, the TSM Group is always on the look-out for new sources to increase the product range and designs it can offer. Our senior management consists people with more than 20 years experience in both fabrication and supply to stringent project requirements. 1. From PIE, go straight all the way via BKE to KJE. From KJE, turn out at the first exit from Woodlands Road, turn right at the junction and go all the way straight until you see Sungei Kadut Avenue where you will turn in. 2. Take the MRT to Choa Chu Kang Station, at the bus terminal, take Bus No. 925. This bus will stop right in front of our showroom/factory.